This blog is part of a series of blogs on buying a business. We are first exploring the qualities you need when deciding to whether or not you are should buy a business. I encourage you to go back and read the previous blogs. This week we are discussing access to commitment. Commitment. The one indispensable characteristic of a successful Buyer is commitment. By this I mean that although a Buyer will not succeed simply because they ARE committed to the business; it is certain that the business will fail if they are not. Business commitment takes many forms. Business ownership can take a toll on the Buyer’s social and family life in addition to their financial situation. Accordingly, a Buyer, and to some extent their family and friends, must be willing to make some short term sacrifices to reap long term benefits. Among the commitments successful Buyers make is to be “life long learners.” There are many good business books and courses. Four books that we strongly recommend are: “Getting to Yes” by Roger Fisher and William Ury; “Guerilla Marketing” by Jay Conrad Levinson; “From Good to Great” by James Collins and “E-Myth Revisited” by Michael Gerber. 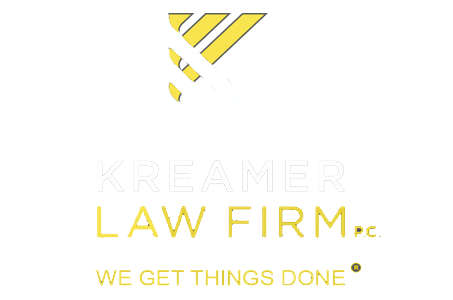 If you would like assistance in regards to the purchase/sale of a business, please contact me at www.kreamerlaw.com. This week we are discussing access to expertise. Access to Expertise. Most successful transactions require the Buyer to assemble (and pay the costs of) a “team” of players: bankers, accountants and lawyers all play critical roles in the transaction. Business brokers can also be an extremely valuable asset. Although many Buyers seek to hold down their acquisition costs by trying to fill some or all these functions themselves, in case after case, the legal fees to “fix” a transaction (if and when that is even possible) ALWAYS costs more than assembling/paying a team to do it right the first time. Depending on the size and complexity of the transaction Buyers should anticipate that acquisition costs/professional fees will be about 10% of the purchase price of the business. When selecting your professionals, you should carefully evaluate their experience and ability to get things done. Bottom line: having a team of people helping you buy a business will help you prevent mistakes that will cost you time and money. In the 30 +/- years of since I began practicing law, I have worked on hundreds of sales and purchases of businesses. This is the second chapter in a series of blogs wherein I will share my observations and experiences. I encourage you to go back and read this blog series from the beginning. The second reason a strategic buyer will purchase a business is to provide expansion of products/services. An insurance agency who focuses on sales of life insurance buying an agency with expertise in property and casualty insurance. A car dealership which buys another car dealership which represents a different manufacturer. Sellers in these types of transactions are often motivated by personal reasons such as retirement, health issues, or unrelated indebtedness. It is not uncommon in these types of transactions for the Seller (or a key employee of Seller) to remain involved in the operation of the business after its acquisition. In the examples above the Seller might run a “division” of the Buyer’s business which engages in the Seller’s business. In these types of transactions, it is very important that as part of the transactions the Seller agrees that he/it will not compete with the Buyer for a period of time (normally 2-5 years) after the Seller is no longer involved with the business. Next I will be covering Entry into the Market. In the 30 +/- years of since I began practicing law, I have worked on hundreds of sales and purchases of businesses. This is the first in a series of blogs wherein I will share my observations and experiences. This week we are examining industrial knowledge and Personal knowledge. Industry knowledge. Industry knowledge includes knowing the “market” (both customers and competition), as well as “industry standard” revenue/costs/expense ratios for the business. This information can sometimes be obtained from associations which are comprised of similar businesses. Personal operational knowledge. Unlike “old dogs” it IS possible for Buyers to learn “new tricks”. HOWEVER, in most successful transactions the Buyer himself/herself has had PERSONAL experience in the operational side of a business similar to that which they are considering buying. Often one of the terms of a transaction is that the Seller agrees to “train” the Buyer. This approach can be successful if the business operation is not very complicated, or if the business has revenues of less than $250,000. Our experience is that in most (but not all) cases the teacher/pupil model does not translate well to Sellers and Buyers. A hybrid between buying a business and starting one “from scratch” is the purchase of a franchise. At its core, a franchise is a tested business “model”. Their terms and conditions vary among industries and among companies within an industry, but most offer some level of industry/market knowledge and training of franchisees. Obtaining a franchise can reduce the “learning curve” but it is not a guaranty of success. The client who comes prepared for meetings with their attorney save significant amounts on their legal fees. This is because the attorney can work much more efficiently to address your needs. The nature of the preparation is dependent on the type of matter involved, but, at the very least, you should consider writing out a list of questions and/or issues to be discussed. This will help you “focus” the discussion, stay on track, and avoid forgetting something which needs attention. Who will handle funds of any beneficiaries who are minors-we ALWAYS RECOMMEND that this is a bank rather than an individual? Who will raise your children if your spouse does not survive you? Who will make decisions for you on health care matters (including end of life issues) if you cannot make them for yourself, Often this is your spouse (as the primary holder) and then a family member (as successor)? Who will make decisions for you on financial matters, if you cannot make them for yourself, Often this is your spouse (as the primary holder) and then a family member (as successor)? How will your estate be distributed? “Special” bequests (like a family memento) or a gift to non-family members. Most often, any remaining assets (after payment of debts, taxes and costs) are given to a surviving spouse (either outright or in trust for the spouse), but if spouse does not survive you, all to a trust in favor of your children (with income to be used for health, maintenance and education) until they reach certain ages (at which time the principal of the trust is distributed). Although there are several “do your own will” software packages available, it turns out that estate planning is NOT “one size fits all”. Such software could produce documents which either (or both) do not reflect your wishes, or are not in compliance with the applicable statutes. Using a “canned” software package to prepare your estate planning documents means you are acting as your own lawyer; everyone knows the punch line to THAT story. The adage “time is money” is particularly true when working with your attorney. By spending some of your time preparing for your meeting with your attorney, you could save a substantial amount of money. An analysis of the Strengths, Weaknesses, Opportunities and Threats (a S.W.O.T. analysis) which you may confront in your business. Although there are several business plan software packages available, we HIGHLY recommend you work with a nearby Small Business Development Center (“SBDC”), which is a governmental entity charged with assisting entrepreneurs. You’ve been become ill or been injured. You’re unconscious, or, you are simply in so much pain that you can’t speak; or you are no longer “competent”. A medical decision needs to be made. NOW. Who is going to make that decision, since you either can’t make the decision, or, you can’t communicate what you want done? The best, and easiest, solution is for you to designate (in a notarized writing) someone to make a “health care decision” for you (if you cannot make one for yourself) BEFORE the crisis occurs. 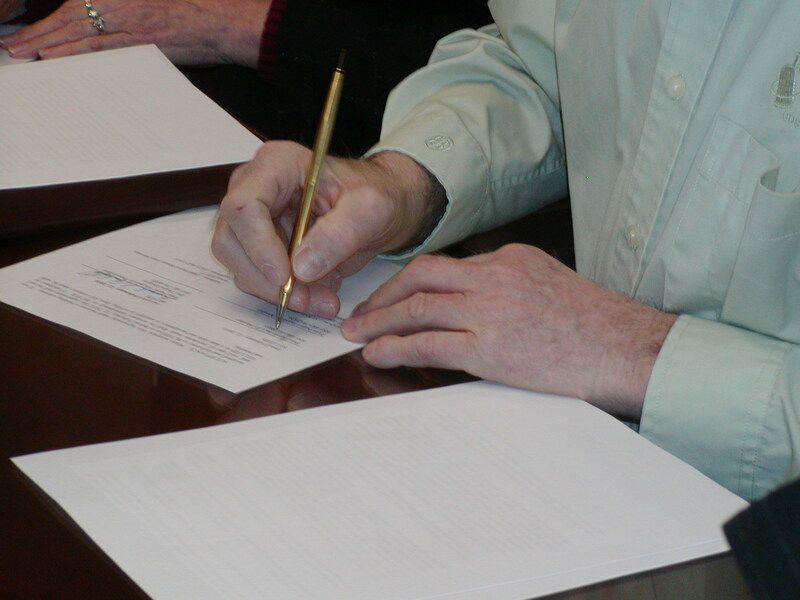 This document is commonly called a Durable Power of Attorney for Health Care (or a Health Care/Medical Directive). The decision maker specified your Durable Power of Attorney for Health Care has decision making powers are as broad or as narrow as you specify. Generally, the decision maker will be authorized to determine whether “life sustaining procedures” should be employed and when it’s time to let you go. HOWEVER, the decision maker cannot withhold any treatment which is necessary for your comfort or freedom from pain. The decision maker is required to follow your wishes on these matters. Accordingly, selection of the individual for this responsibility is of critical importance. You need to choose someone who knows your wishes and is strong enough to carry them out. Although any mentally competent person of legal age (including a close friend) can serve in this role, often the decision maker is your spouse, or a family member. You should consider choosing one (or more) alternate decision maker(s) who can fill this need in the event that a previously listed individual cannot, or will not, serve. Again, if these are not the individuals you would prefer to make these decisions, or if they are not in the decision making order which you would prefer, it is necessary for you to designate an individual to act on your behalf in a Durable Power of Attorney. Preparing or reviewing a Durable Power of Attorney for Health Care is not complicated, but it may be a tremendous benefit to your family in a time of tremendous stress. A Durable Power of Attorney for Health Care, allows you to control who will make decisions for you, and can save you, and your loved ones, from the heartache suffered by ALL of the parties in the Terri Schiavo situation. Iowa Code (2009) §144B.1(3) and (4). Iowa Code (2009) §144A.7(1) Note: these provisions are limited to only take effect if you are in a “terminal condition”, and only relate to withdrawal of life sustaining procedures.